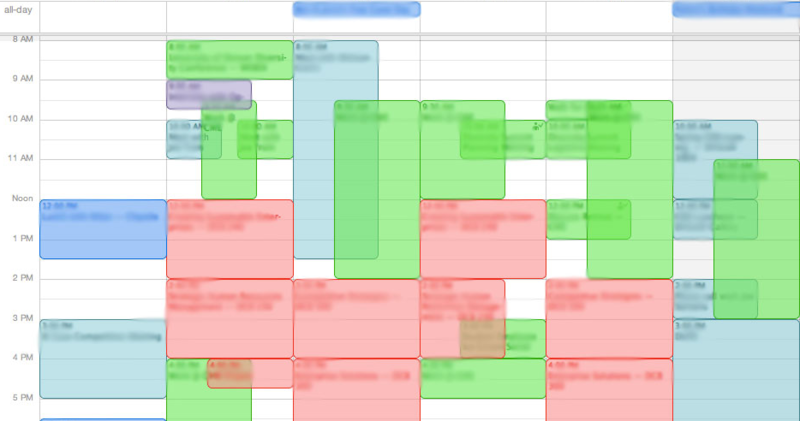 Since I’m an inherent planner, I’ve tried to focus on areas where I actually can make a plan. One of the most stress-reducing things I can do is meal plan. Although I don’t enjoy cooking, planning the week’s meals, including a review of what my picky toddler will and will not eat on the school lunch calendar, means I can shop for and prepare meals ahead of time. 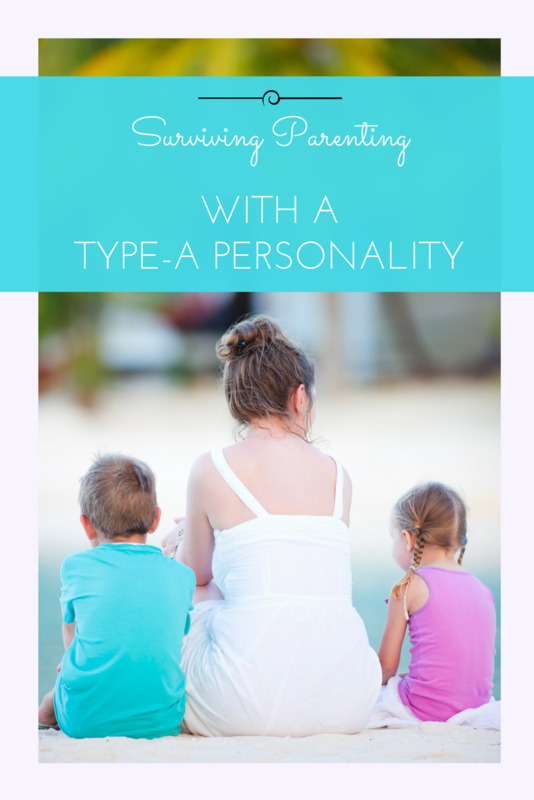 What has been key here for me is to build in flexibility for days where I don’t even have the energy to put together the simplest meals, and most commonly, times where my toddler decides she despises food that until that day was her favorite. Various healthy-ish freezer meals like this and this have been my sanity saver in those moments. My husband and I are so busy. Calendar sharing helped us in many ways. First, my husband can never claim he didn’t know about a birthday party, and I can’t book lunch plans over a golf tournament. Second, we use it to get a handle on the week on Sunday night, and we know where each of us is at all times in case something comes up. We book out doctor appointments or other mid-week items on both our work and personal calendars, so we don’t end up with an important meeting being booked over the baby’s well check. There may be time for a restroom break in there somewhere. I am not very good at this, and I’m sure so many parents can relate. When life is busy, self-care is an easy one to put on the back burner. But I recently found myself feeling totally, completely overwhelmed. I am a very rational person, and yet, I felt like I could cry at the drop of a pin. When I took a step back, I realized I wasn’t doing anything for myself. I hadn’t seen the inside of a gym in close to two years, my monthly massage membership was going unused, and I hadn’t had a dinner out with friends or a manicure in months. There’s always a reason why there isn’t time for these things, but choosing at least one self-care task each week (sometimes it’s as small as a 10-minute at-home face mask) has made a world of difference when tackling an otherwise hectic week. Admittedly, this one is as cliché as it gets, but sometimes all you can do is laugh when your baby blows out his diaper just as you’ve put him in the car seat on a Monday morning, or when your toddler has the tantrum to end all tantrums over an uncomfortable sock in the middle of the grocery store. I’ve surprised myself with how much I can go with the flow. It’s not always organic, but even when I force myself to relax, it almost always ends up better than when I try to force everyone onto my timeline. I enjoy reading your blog. Even though we talk almost every day, it gives me a deeper insight into your life and I love it.